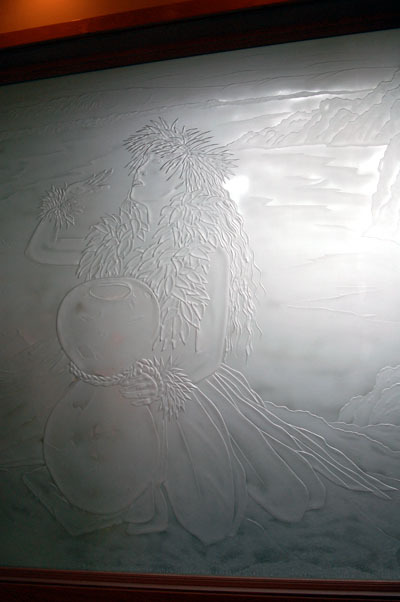 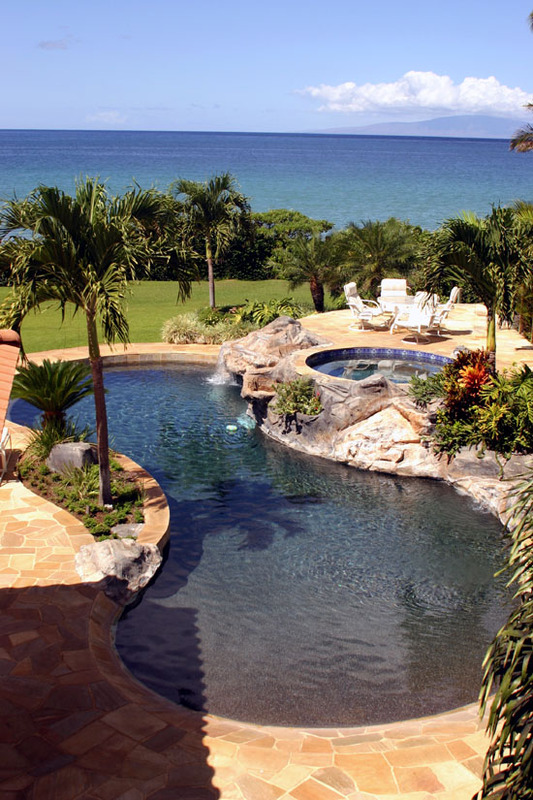 This 6,500 sq. 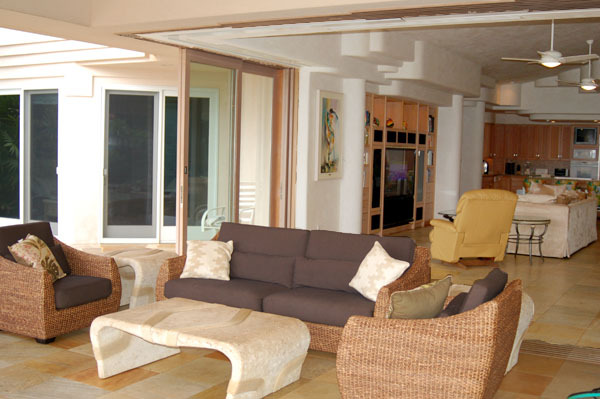 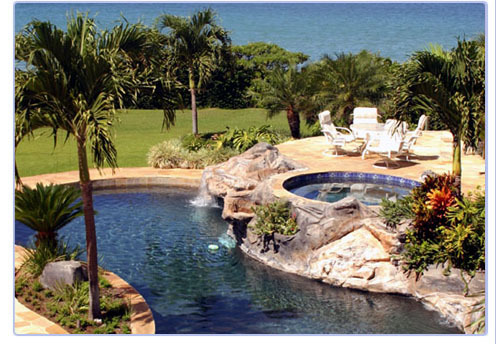 ft beachfront masterpiece is the ultimate vacation home for large families. 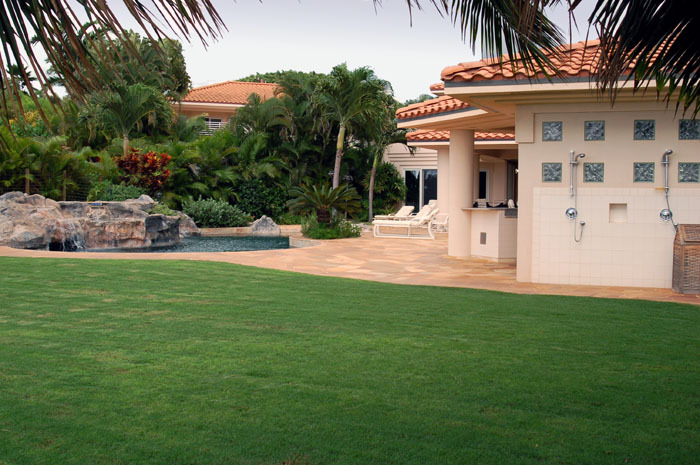 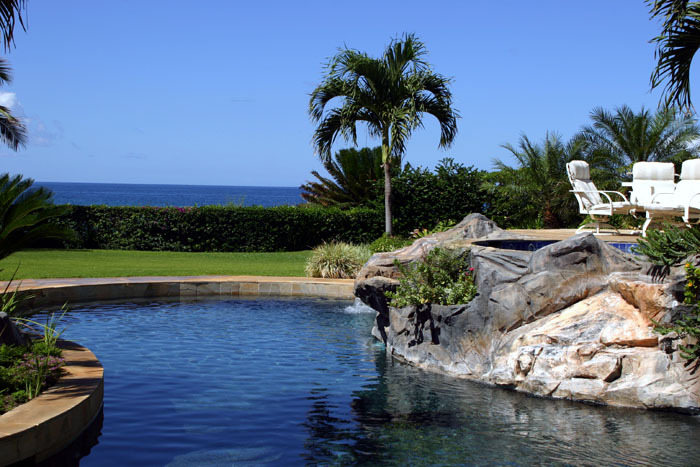 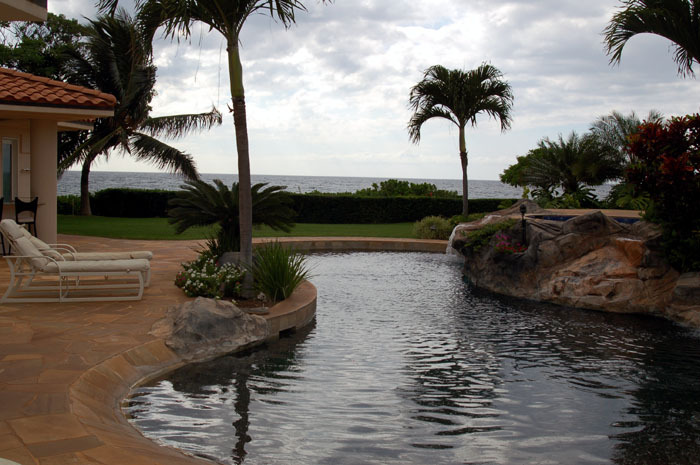 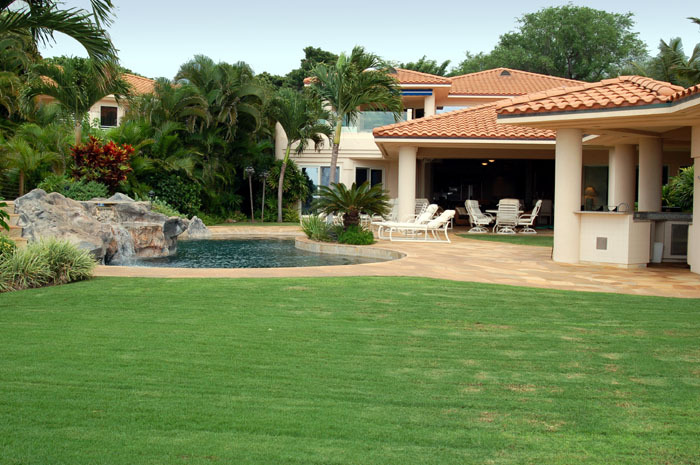 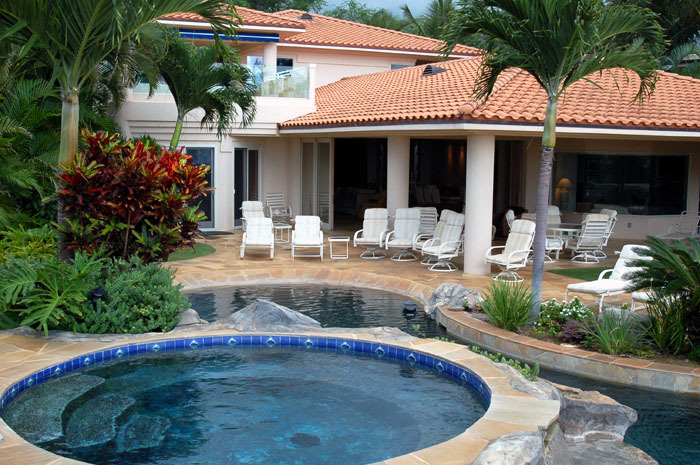 Centered around the home's spectacular garden set beach side lagoon pool (complete with outdoor Jacuzzi & waterfall cave) this 7 bedroom and 6.5 bath home comfortably sleeps 14 persons. 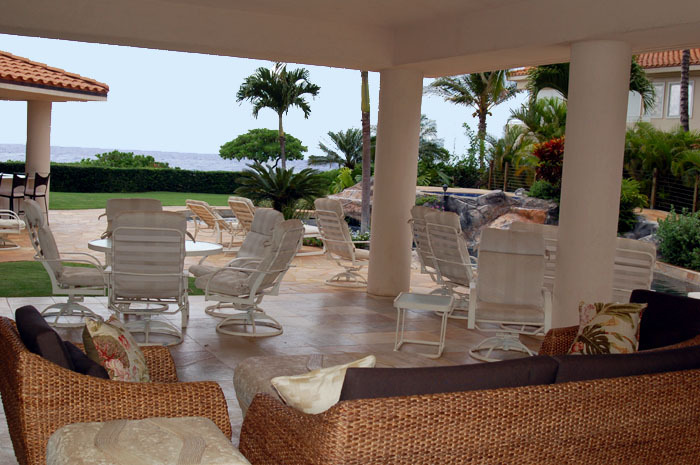 Located on a mile long, crystalline, white-sand shore line, Sea Pearl offers access to South Maui's premiere beaches, snorkeling sites and spectacular sunset views. 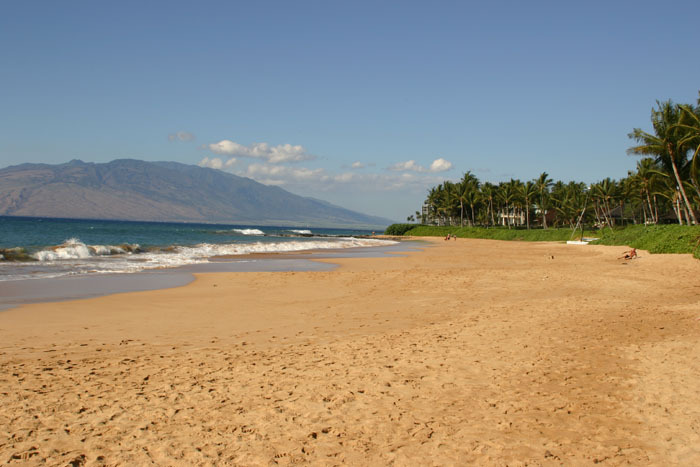 Nearby bustling Kihei Town, guests enjoy the surf, sun and entertainment for the most in a Hawaiian Luxury vacation. 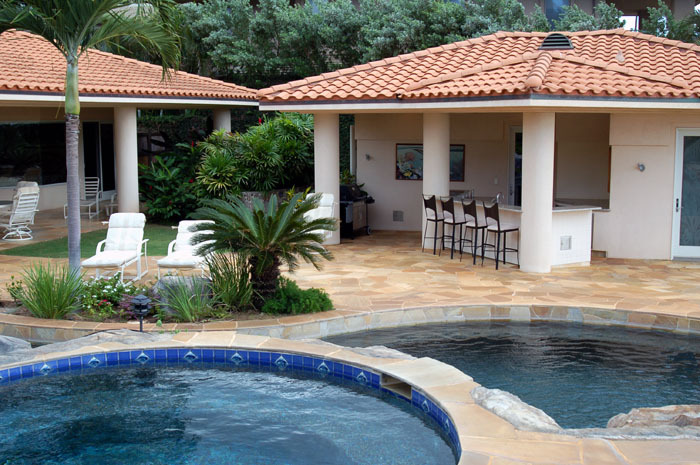 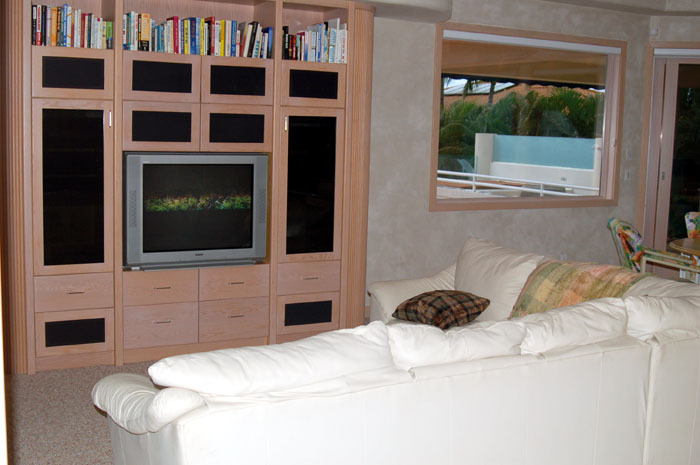 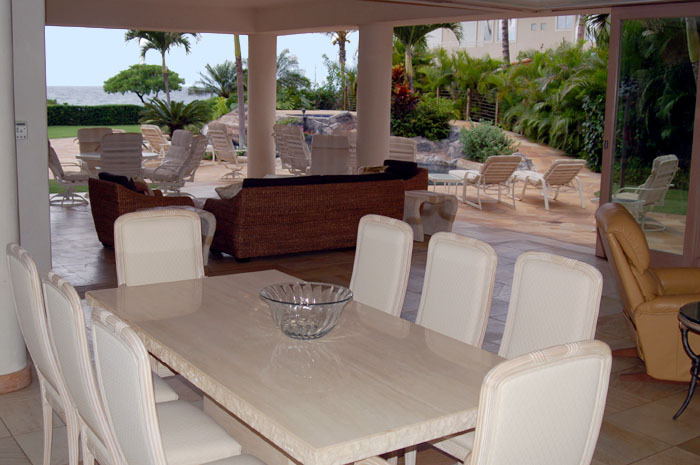 Sea Pearl allows the convenience of privacy even with a large guest party: The downstairs, upstairs, and pool cabana can be utilized as separate suites. 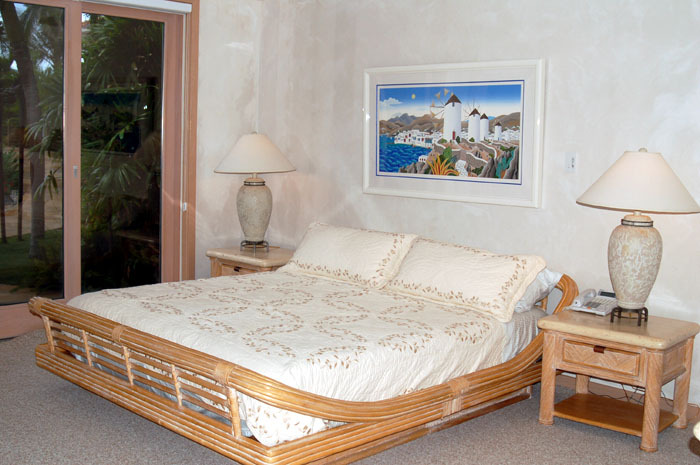 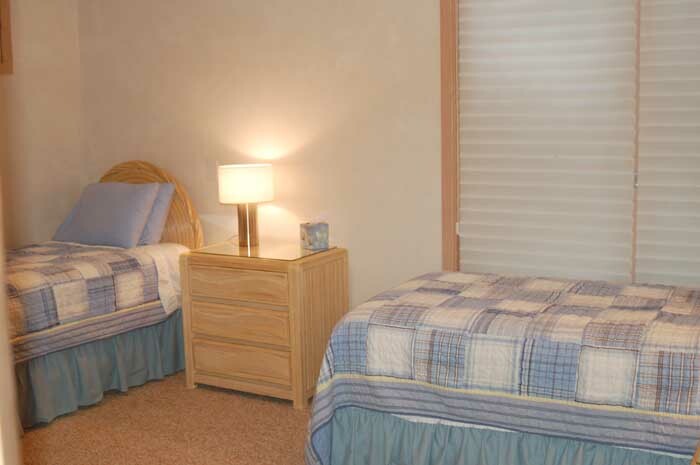 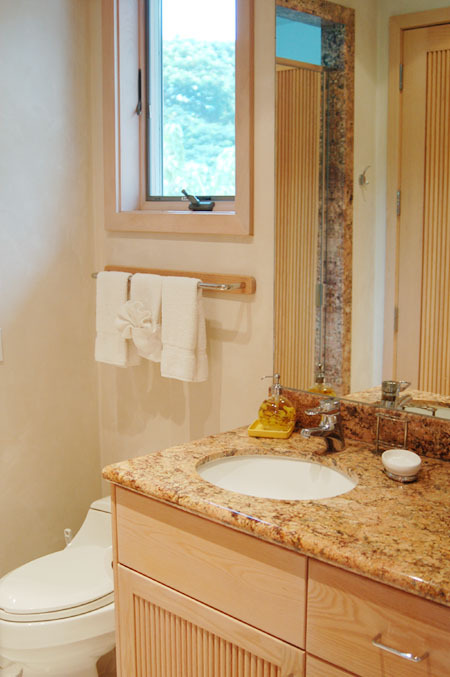 The downstairs is comprised of a great additional bedrooms. 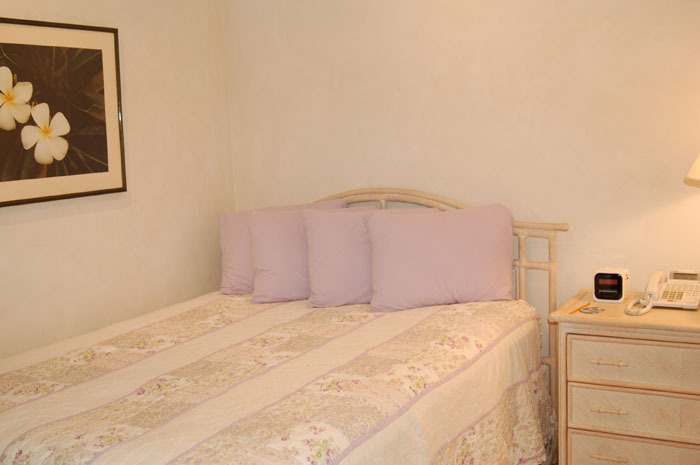 The upstairs has another great room, and two more master bedrooms. 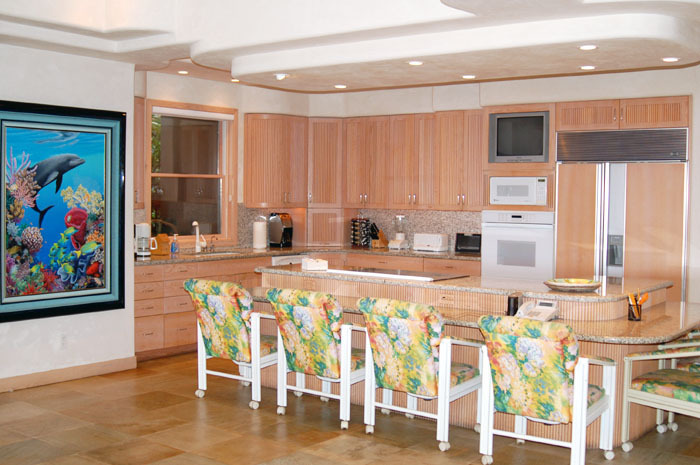 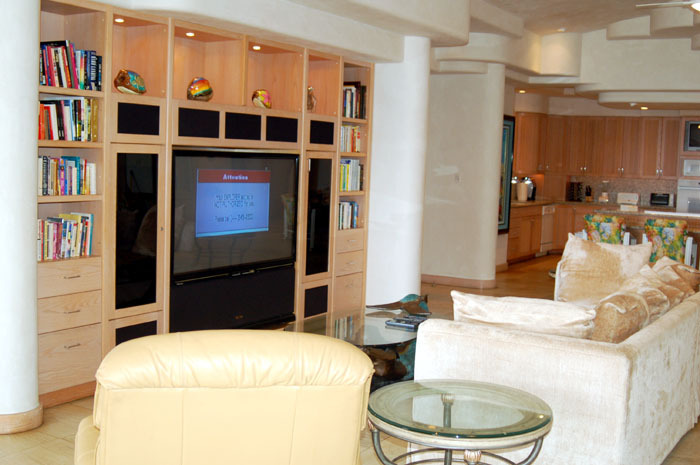 Both suites offer art-deco inspire ceiling treatments, HDTV entertainment systems, dining, gourmet kitchens, island decor and beautiful, beach-front ocean views. 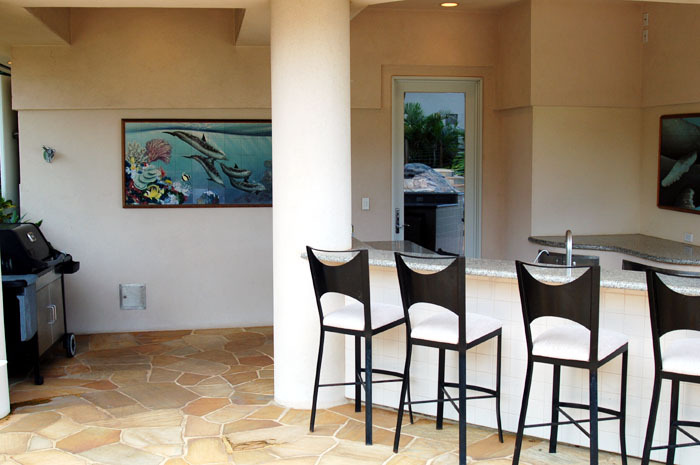 The downstairs offers the luxury of indoor/outdoor living as the glass walls retract and merge the interior living space with the stone-laid garden pool deck. 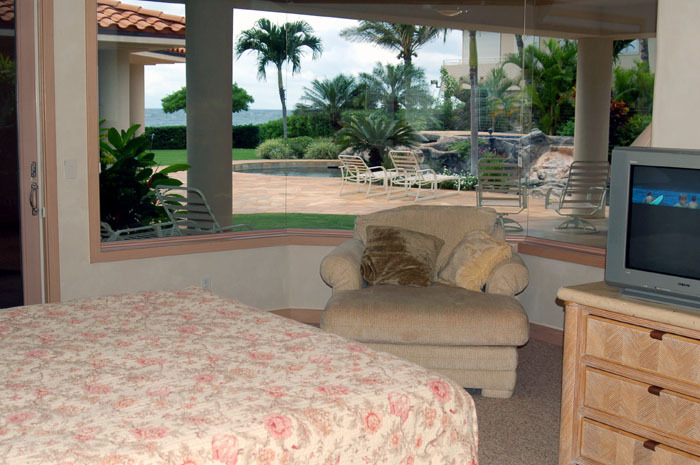 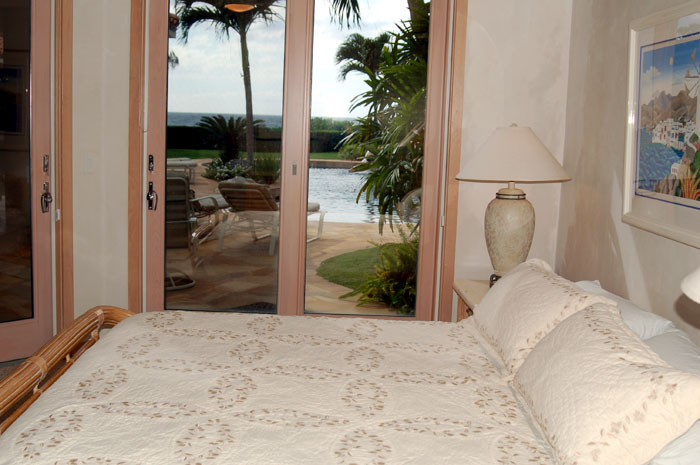 All the master bedrooms have gorgeous ocean views with direct access to either the garden pool deck or outdoor covered lanais. 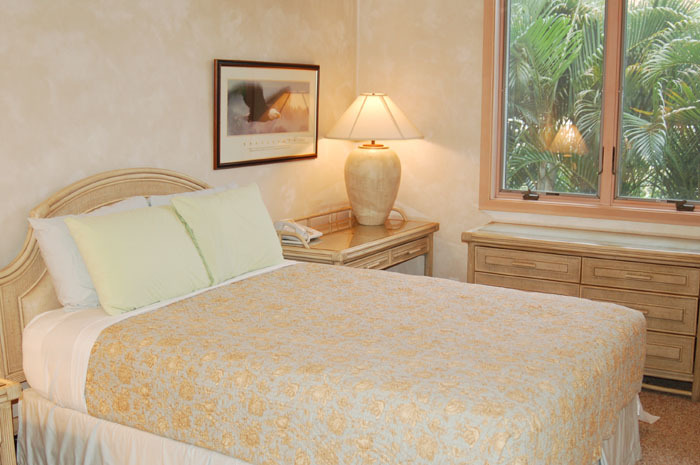 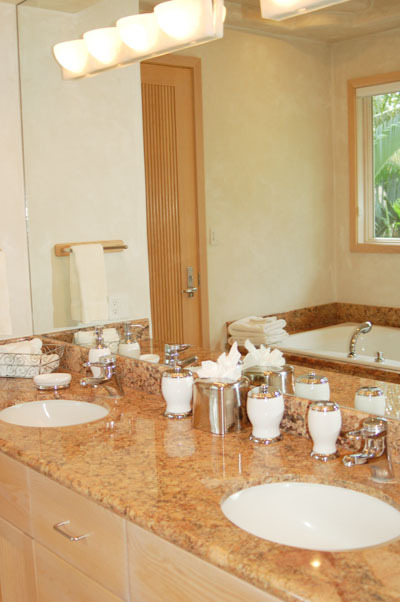 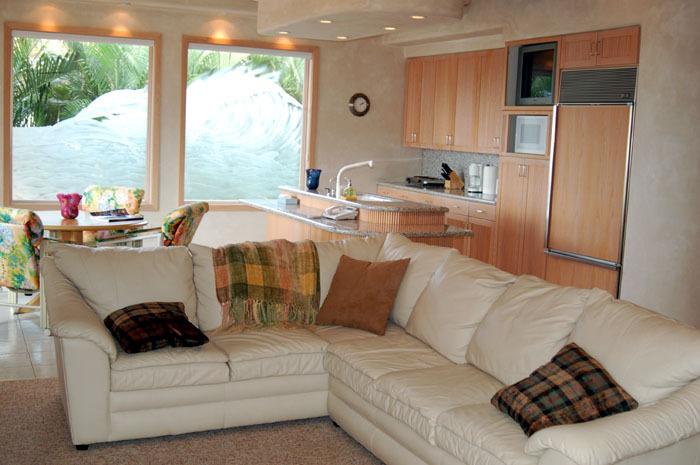 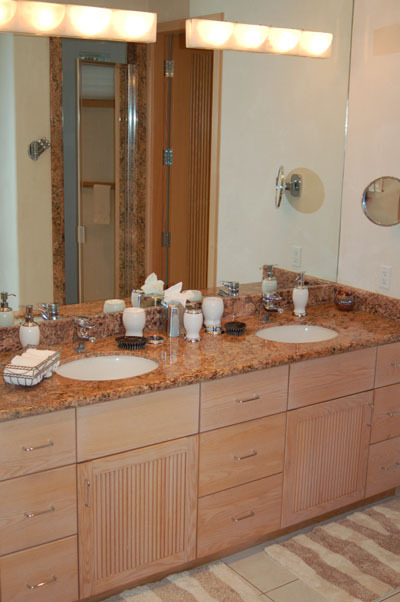 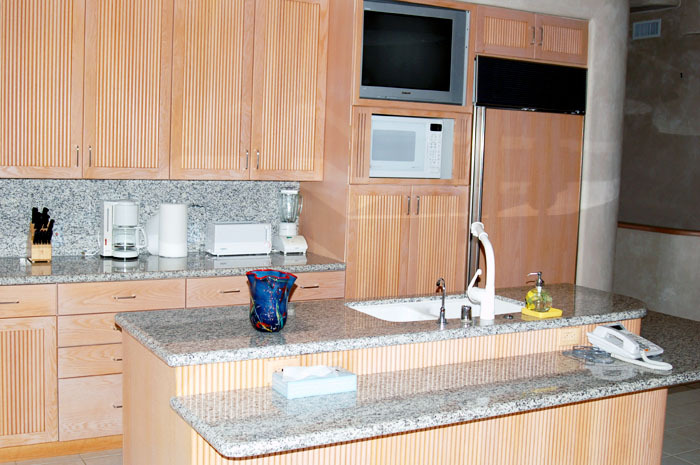 An additional bedroom, bath and fully-equipped kitchen are located in the Pool Cabana. 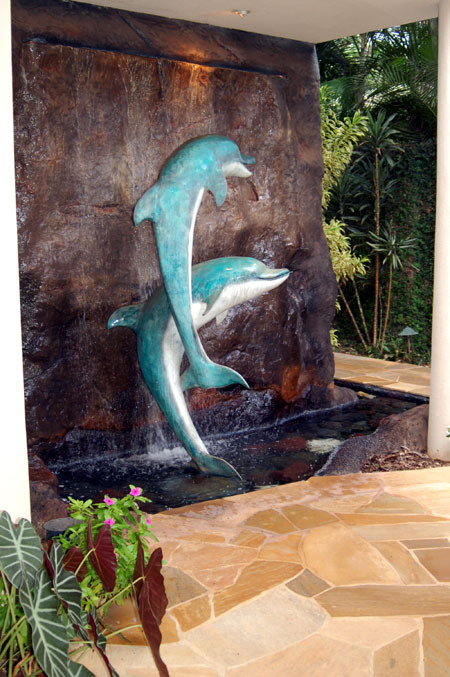 Maybe a dolphin from the home's unique Marine Sculpture Collection will join you for a sunset swim.